What did you think of Subtract Two 2-digit Numbers - Within 100 ? To subtract two digit numbers, first align the numbers so that place values are lined up. Subtract ones regroup if needed and then subtract tens. 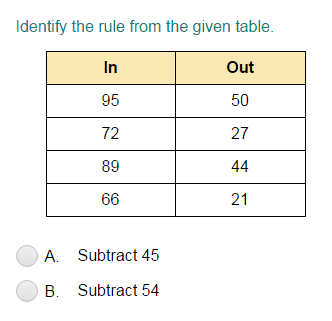 For example: Let's find the difference of 45 and 16. Align the numbers and subtract ones. Regroup if needed. The difference of 45 and 16 is 29.